Checkered Fairy Bridge for Merriment Mini Fairy Gardening. 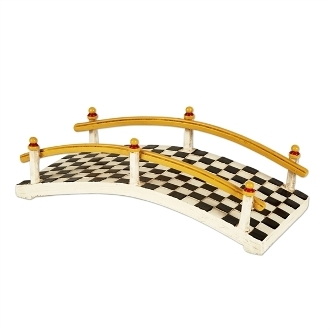 Full Description: Add a pop of pattern to your mini garden with this adorable checkered bridge! Features all-weather paint. Made of resin.